Summer is a wonderful and fun time of the year for many people, but if you have diabetes, the season can be one of the most difficult times to manage your illness. Between sweltering temperatures, adjusted health needs and travel limitations, it can be a challenge to keep diabetes symptoms and side effects in check. 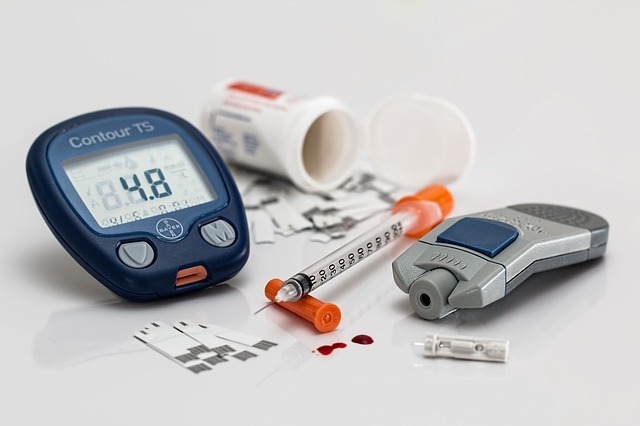 If you’re one of the 29 million people in the United States dealing with diabetes, then you probably already know that special precautions to guard against these issues are a must when you make your summer plans. Before the hottest days of the season get here, though, we strongly encourage you to review these precautions to ensure that you’re on track to enjoy as healthy a summer as possible. Check your blood glucose levels at least four times a day.Constant vigilance is crucial when managing diabetes in the summer, as the hot weather can actually cause your blood glucose levels to fluctuate. Because of this, regular monitoring and testing is a must – and you should always have water and snacks on stand-by in case you need them. Be especially sure that you test your blood glucose before engaging in any sports, exercise or similar activities, to ensure that your blood sugar levels aren’t too low before you begin exercising. Care for your monitoring equipment. In addition to regularly testing your blood glucose, you need to care for the strips and/or insulin you use to ensure they will work effectively. Insulin in particular should never be stored in extreme heat or cold (which means they cannot be stored in freezers, on top of ice packs, exposed to direct sunlight, left in your car, etc.). If you use a pump, you should also take steps to ensure that it will be properly handled and cared for during your summer activities and travels. Drink lots of water. Dehydration can affect anyone during the summer, but it’s especially likely to affect diabetics; since elevated blood glucose levels increase the frequency at which you need to use the bathroom, it’s easy for diabetics with to quickly lose vital fluids. Dehydration can also create false high readings on your glucose tests. To avoid both of these issues, you should drink plenty of caffeine- and sugar-free beverages, particularly water – even if you’re not thirsty. Monitor for signs of heat exhaustion. If you have diabetes, you’re at a greater risk of overheating and suffering from heat exhaustion in the summer weather. Your best bet is to avoid exercising in sweltering heat and to enjoy activities in a cool place whenever possible. Make sure that you can recognize the signs of heat exhaustion, which include dizziness, fainting spells, excessive sweating, muscle cramps, headaches, a rapid heartbeat and nausea. If you experience any heat exhaustion symptoms, be sure to move to a cooler area, to drink plenty of fluids, and to seek medical attention. Prepare before you enjoy an activity or exercise (particularly if you rely on insulin). While staying active is a must for diabetics, it’s important to remember that our bodies use more energy and burn more carbohydrates when we’re active. Because of this, it’s important to watch out and ensure that your blood sugar levels don’t drop too low. Following basic exercise guidelines for diabetics can help you avoid this potential issue. Think ahead when traveling. Summer is the time to travel, but this can also restrict your access to regular meals and potentially cause problems if you’re not prepared. To avoid this and to keep your blood sugar levels stable, always prepare full serving sized snacks, and invest in diabetic friendly travel snack bars. You should also pack extra medications and supplies, just to ensure that you have plenty on hand for the trip. While none of these guidelines are likely news for people who are used to managing their diabetes, we hope that by reviewing these guidelines, you can ensure that you’re not skipping any important safety steps by mistake while making your summer plans this summer. If you find that you have any questions about this summer, whether it’s related to diabetes management or something else entirely, we encourage you to contact us so that we can make sure you’re meeting the guidelines you should.